BB-8, the rolling ball droid of the successful #bb8 emoji campaign and nothing else, is as adorable as he is inscrutable. How does the ball roll? How does his head stay on top of the ball? For that matter, how does the head move around on top of the ball that’s moving around? Why do all of these factors combine to make something so gosh-darn cute? In a single day, industrial designer Christian Poulsen has used a magnet and Sphero, the only remote controlled orb with a lukewarm endorsement from the President, to (potentially) answer some of these questions. 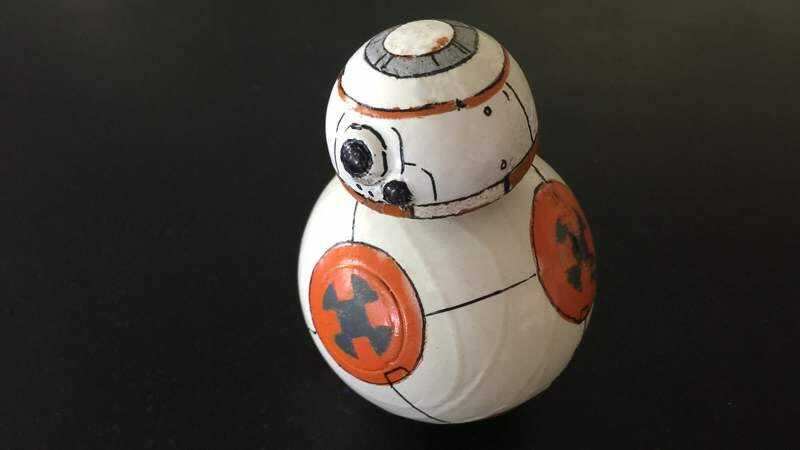 The resulting mini BB-8, which you can build yourself, rolls around in a fair approximation of the larger droid, with the only appreciable difference being the lack of independent head control. This might ruin immersion in your space emoji fantasy, but it does make it pretty entertaining to play in combination with a supercut of R2D2 screaming his head off.